price depends upon the make and motor ratings. Extra Tax and packing & forwarding charges applicable. Enriched with vast industrial experience, we are involved in offering a wide range of Elevator V3F Drive. These are engineered from unmatched quality components to ensure maximum durability and robustness. Our devices are extensively demanded by clients owing to its optimum strength and robustness. New Comfort Engineering conceived its business operation from its head office located at Bengaluru, Karnataka (India). We have established our self in the industry as a sole proprietorship firm in the year 2002. 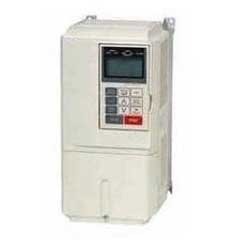 We are the Manufacturer, supplier, trader and exporter of superior quality Elevator Controllers and accessories. Our product range comprises of Electrical Voltage Controller, Electronic Combination Lock, Automatic rescue Device, Audio Amplifier and many more products are in the list. Our products ranges are highly sensitive and highly good in performance. They give fast and reliable response to the user. Our entire products ranges have low cost and long life. We also provide installation service of our entire product range. We also export our product at different countries like Nepal, Bangladesh, UAE and South Africa. And our exporting percentage is upto 20%. We keep our organizational staff updated with the current requirement and on regular basis we conduct market research for the same. With our prime motto to satisfy our valuable customers, we serve them supreme quality of products and deliver them in a committed time frame.